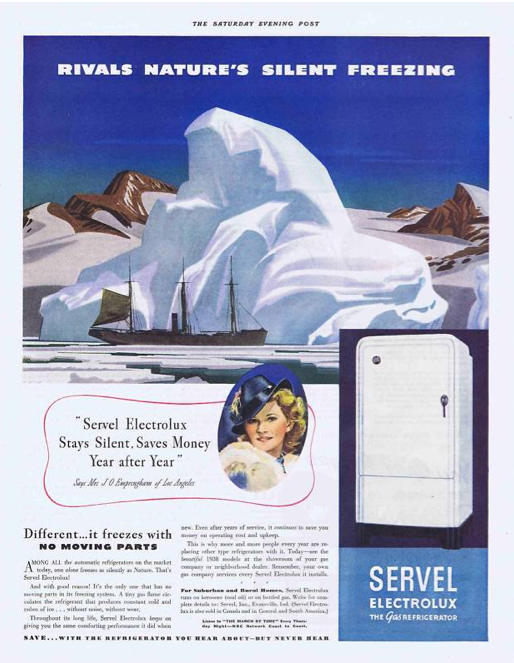 Note to the climatologists [or copywriters] working at Servel Electrolux in 1932: Contrary to your statement, freezing is not a silent process. A fierce snowstorm howled through the northeast last night; winds rattled the windows all evening, and I heard the distinct and dreaded sound of a pipe bursting in a neighbor's house. It's 0º F right now, and I am going to add to the cacophony of the cold by putting a whistling teakettle on the stove.